Welcome to the N Gauge Modelling website! The Spring 2019 issue of N GAUGE NOW (No 17) is currently available for £5.50 (inc £1.30 P&P) and you can order your copy now by going to our SHOP. Please note that our Binders are also now available again (see below). SPRING SALE! SPRING SALE! SPRING SALE! SPRING SALE! SPRING SALE! BUY ALL 12 ISSUES plus a BINDER (worth £10.95) plus a FREE copy of our 2014 Premier Issue for £25 (again all POST-FREE)! If you want to order by post, state clearly the items you want and don't forget to include your address. Alternatively, you can use our SHOP facility to place your order and then click on the "Payment by Post" button. This will register your order and your details with us and then you just need to send us payment via Royal Mail. You can print off a copy of your order for reference and/or to include with your payment. IMPORTANT - THE SPRING SALE offers will be available ONLY until the publication date of the Summer issue of N GAUGE NOW, expected around the end of May. PLEASE NOTE: Sorry - our Spring Sale offers are not available outside the UK but you can order individual issues or a subscription to Europe or the Rest of the World via our SHOP. Overseas orders accepted with payment via PayPal only. IMPORTANT: Our Shop facility is not set up to permit multiple orders for the same item. If you require TWO Binders (or any other item), simply place TWO separate orders. supply Binders to overseas subscribers. Every ready-to-run steam, diesel and electric loco, plus DMU/EMUs and railcars in N Gauge available to buy. £4.95 and POST-FREE from this website. Just go to SHOP to order your copy now. AN UNMISSABLE PUBLICATION FOR N GAUGERS EVERYWHERE! Plus all the latest N Gauge news and more - and it's 100% N Gauge. #Whatever happened to Hornby's Lyddle End? STILL AVAILABLE: Issue 12 of N GAUGE NOW: THE MAGAZINE is still available, priced at £1.95 with FREE post & packing. Just go to SHOP to order your copy. Issue 12 is a 56-page A4 magazine in full colour with in-depth profile articles on LBSCR "Terrier" A1X 0-6-0 tanks and LSWR M7 0-4-2 tanks, GM/EMD Class 66 "Sheds", Layout Planning in N, the 30-year history of CJM Models, the Bulleid "Leader loco in N Gauge, Scenecraft "ready to plonk" resin buildings, kit-bashing road vehicles and Langston Bridge, a remarkable scale model of the Hayling Island branch. Plus all the latest N Gauge news and more - and it's 100% N Gauge. STILL AVAILABLE: Issue 11 of N GAUGE NOW: THE MAGAZINE is still available, priced at £1.95 with FREE post & packing. Just go to SHOP to order your copy. Issue 11 is a 56-page A4 magazine in full colour with in-depth profile articles on Class 20 diesels, BR Standard 4-6-0s, |Private Owner Wagons, Buying N gauge second-hand, Metcalfe Models, new liveries for DMUs, Del Prado models and Ludlow BR-era layout. Plus all the latest N Gauge news and more - and it's 100% N Gauge. STILL AVAILABLE: Issue 10 of N GAUGE NOW: THE MAGAZINE is still available, priced at £1.95 with FREE post & packing. Just go to SHOP to order your copy. ISSUE 10 is a 56-page A4 magazine in full colour with in-depth profile articles on Diesel Multiple Units: The First Generation plus GWR Halls, Manors and Granges, plus a look at N Gauge car models for your layout, an intricate N Gauge layout in a 30in x 30in box, modelling Japanese railways, the scenic accessories of Langley Models and a special investigation into the rising cost of N Gauge ready-to-run models. Plus all the latest N Gauge news and more - and it's 100% N Gauge. STILL AVAILABLE: Issue 9 of N GAUGE NOW: THE MAGAZINE is still available, priced at £1.95 with FREE post & packing. Just go to SHOP to order your copy. Issue 9 is a 56-page A4 magazine in full colour with articles on the BRCW 'Crompton' Class 26/27/33 diesels and LMS Royal Scots and Jubilees in N Gauge, Electra Vinyl Overlays, whitemetal kits and models from P & D Marsh, fictitious liveries, lorries and large commercial road vehicles for N and an in-depth feature on Heatherley, a "modern image" layout with an unusual feature - a working stone-loader for hopper trains. Plus all the latest N Gauge news and more - and it's 100% N Gauge. Issue 8 is a 56-page A4 magazine in full colour with articles on East Coast A1/A2/A3 Pacifics and 0-6-0 diesel shunters in N Gauge, the fourth part of an in-depth series on RTR British coaching stock in N featuring Pullmans, Sleepers, Mail trains and more, and a picture feature on Japanese N Gauge exhibition layout Tohoku City plus articles on N Gauge and the internet, Dapol's Easi-Fit Couplers, vinyl overlays and lots more. And it's 100% N Gauge! Issue 7 is a 56-page A4 magazine in full colour with articles on Class 31 diesels and Southern Railway steam locos in N Gauge, the third part of an in-depth series on British coaching stock in N featuring pre-war coaches of the "Big Four" and a picture feature on top N Gauge exhibition layout Dragonby plus articles on N Gauge buses, Britain's modelling "Eras", military modelling, modifying Class 20s and lots more. And it's 100% N Gauge! STILL AVAILABLE: Issue 6 of N GAUGE NOW: THE MAGAZINE is still available, priced at £1.95 (now post-free). Just go to SHOP to order your copy. Issue 6 is a 56-page A4 magazine in full colour with articles on the Deltics, Britannias and 9Fs in N Gauge, the second part of an in-depth series on British coaching stock in N featuring Mk2, M3 and M4 coaches, a picture feature on an intriguing US-themed layout plus articles on military modelling, brass kits, modifying tanker wagons and lots more. And it's 100% N Gauge! STILL AVAILABLE: Issue 5 of N GAUGE NOW: THE MAGAZINE is still available, priced at £1.95 (now post-free). Just go to SHOP to order your copy. Issue 5 is a 56-page A4 magazine in full colour with articles on the GWR Castles and Kings and Class 37 diesels in N Gauge, the first part of an in-depth series on British coaching stock in N, the Japanese Unitrack system, the early history of N gauge as developed by Graham Farish and lots more. And it's 100% N Gauge! STILL AVAILABLE: Issue 4 of N GAUGE NOW: THE MAGAZINE is still available, now half-price at £1.95 (now post-free). Just go to SHOP to order your copy. Issue 4 is a 56-page A4 magazine in full colour with articles on the Diesel-Hydraulics Iincluding Westerns and Warships) and Stanier Princess Coronation Pacifics in N Gauge, modelling departmental operations, signalling for N Gauge layouts, modelling military trains, how to Anglicise Japanese Tomytec trucks, a brand-new steam-era layout recreating a Lancashire location and lots more. And it's 100% N Gauge! STILL AVAILABLE: Issue 3 of N GAUGE NOW: THE MAGAZINE is still available, now half-price at £1.95 (now post-free). Just go to SHOP to order your copy. Issue 3 is a 56-page A4 magazine in full colour with articles on the Class 47 and A4 "Streaks" in N Gauge, modelling present-day freight operatiions, Irish railways, the Class 142 Pacer in kit form, Del Prado N Gauge collectables, Kings Park WCML N Gauge layout and lots more. And it's 100% N Gauge! STILL AVAILABLE: Issue 2 of N GAUGE NOW: THE MAGAZINE is still available, now half-price at £1.95 (now post-free). Just go to SHOP to order your copy. Issue 2 is a 60-page A4 magazine in fuil colour with articles on Peco, HSTs and Bulleid Pacifics in N, modelling freight operations, trackside infrastructure for your layout, Lone Star Trains, Warrington MRC's steam era layout Glazebrook, plus speclalist modelling advice. And it's 100% N GAUGE! STILL AVAILABLE: Issue 1 of N GAUGE NOW: THE MAGAZINE is still available, now half-price at £1.95 (now post-free). Just go to SHOP to order your copy. The launch issue includes an EIGHT-PAGE SPECIAL celebrating the upcoming 15th anniversary of the Bachmann takeover of GRAHAM FARISH. or WHY NOT SUBSCRIBE AND SAVE MONEY!!! Subscriptions, 40 Windsor Road, GREAT HARWOOD, Blackburn, BB6 7RR. Orders from outside the UK are welcome but please note that Airmail postage is included - just follow the links on the SHOP page. N GAUGE NOW was published as an A4 full-colour one-off magazine that's packed with articles of interest to N Gauge modellers including a SEVEN-PAGE SPECIAL celebrating 10 years of DAPOL as an N Gauge manufacturer. To get your copy click on SHOP and follow the instructions to place your order or you can place an order by post as outlined above. PLEASE NOTE: While we endeavour to deal with all orders received via the website within 3-4 days, please be patient at the moment and allow up to 14 days for receipt. PLEASE NOTE: Orders from OVERSEAS for N GAUGE MODELLING publications are welcome (payment by PAYPAL only) but AIRMAIL postage must be added (except for four-issue subscriptions, where it has already been added). For subscriptions to N GAUGE NOW, go to SHOP and follow the ordering instructions. If ordering just ONE item (magazine or other publication), a fixed AIRMAIL postage element should be added where indicated. If ordering two or more items, again please add the AIRMAIL postage element as indicated. IMPORTANT: If you wish to order a subscription PLUS other items from overseas, please send your orders separately as the basic AIRMAIL postage rates listed will not cover everything. As just mentioend.the AIRMAIL subscription rate has a fixed postage element and hence you should place this order separately to any other orders to avoid confusion. 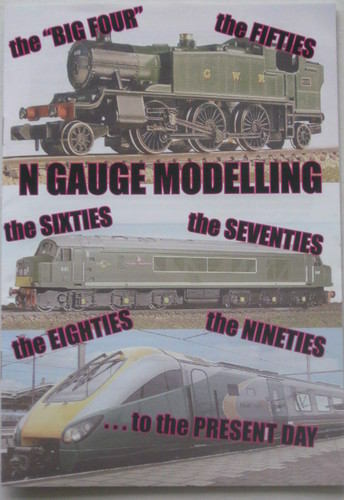 N GAUGE NOW: THE MAGAZINE was launched by Engee Publishing following the overwhelmingly positive response we received to the publication in November 2013 of the N GAUGE NOW Premier Issue, which was created as a 2014 "annual" aimed at all UK N gauge modellers. Within weeks of publication, the Engee office was inundated with letters and emails from readers praising our efforts and demanding to know when the next issue would be out. As one reader wrote: "Please make it a regular publication - I don't want to wait a whole year for the next one!" N GAUGE NOW: THE MAGAZINE is published four times a year. 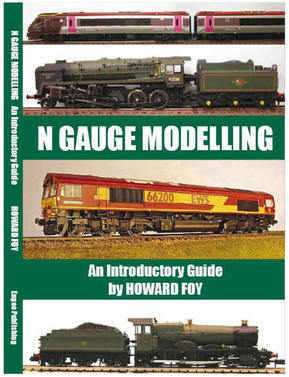 N GAUGE NOW: THE MAGAZINE is edited by HOWARD FOY, a professional journalist and and author of N GAUGE MODELLING: AN INTRODUCTORY GUIDE and other related N Gauge publications, and ROBIN GRUBBA, a leading N Gauge modeller for more than 20 years with articles published in MODEL RAIL and elsewhere. 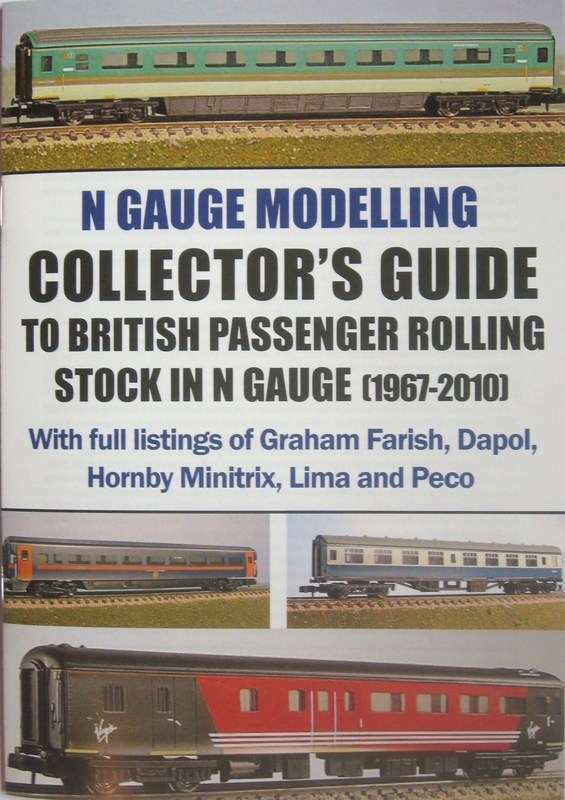 ENGEE PUBLISHING was formed in 2008 to publish N GAUGE MODELLING: AN INTRODUCTORY GUIDE - the first book devoted to the scale for more than 25 years. Following on from the book's success, other publications for N Gauge modellers have followed, and yet more are in the pipeline when time and resources allow. First was the SPOTTER'S GUIDE TO BRITISH LOCOMOTIVES IN N GAUGE (now out of print) followed by two companion publications, the COLLECTOR'S GUIDE TO BRITISH PASSENGER ROLLING STOCK IN N GAUGE and the COLLECTOR'S GUIDE TO BRITISH FREIGHT ROLLING STOCK IN N GAUGE. Between them, the two booklets contain details of around 2,000 ready-to-run N Gauge coaches and wagons produced by Graham Farish, Dapol, Peco, Hornby Minitrix and Lima over the past 40 years, with catalogue numbers, livery details and signage, running numbers annd values. A guide to modelling Britain's railways in N Gauge down the years from the pre-war era of the "Big Four" to the present day. Illustrated in full colour. Just £3.95. 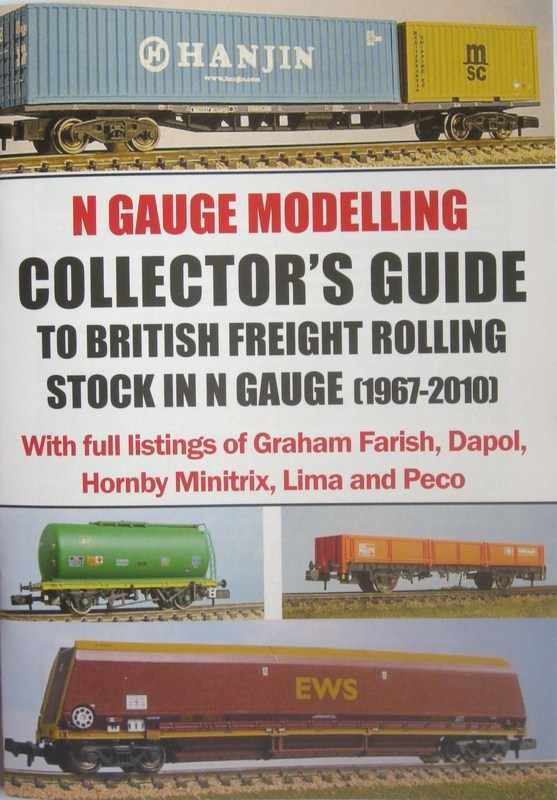 Click HERE now to turn to our N GAUGE MODELLING PUBLICATIONS page for full details on these N Gauge items - and how to obtain them.